Moving is a stressful situation in your life. With that, you need the assistance of a professional moving company to have an easy and fast moving process. Well, your moving will not be complete without the help of moving boxes. The medium moving boxes are essential for you to move your thing safely and easy. To further convince you, the following are the reasons why you need to buy moving boxes. One of the best advantages of moving boxes is that they are very light in weight. With that, you can easily carry your personal belongings and other items from one place to another. With its lightweight features, the items can be easily transported, shipped and carried to your new place. With this, you don’t need to use mechanical tools to carry moving boxes. 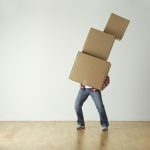 With medium moving boxes, you can hope for the best moving procedure. Thus, these boxes are reliable, strong and durable. You can make sure that your items shipped are safe from being damaged during the transportation process. Moving boxes are made from quality corrugated materials, so you can ensure that these boxes are strong enough to handle your goods and other important belongings. Since it is reliable, they can handle the specified weight for the duration of your move. The boxes have a strong structural rigidity as well as fine cushioning ability when packed properly with packing materials. It comes with a good tear, burst, and tensile strength which makes it the best choice for long-distance moving. Shipping boxes are also recyclable, so it is safe for nature. It can be reshaped and reused for another shipping process. When you have a moving business, these boxes are efficient for storage and shipping. With that, your company will be a big part of the greener economy. You can serve your customers with the best shipping service while helping to preserve the beauty of nature. Medium moving boxes are manufactured with safe materials. You don’t need to worry since it is safe to use and don’t contain harmful chemicals that can damage your goods and other valuable items. Since they are recyclable, the boxes are available at affordable and practical prices. Moving boxes are ideal to support your packaging needs. The medium moving boxes don’t have sharp edges, so you will not be injured and pinched while arranging it in the storage house or in the shipment carrier. More importantly, you can make a stack of boxes properly packed without getting worried about possible damage. The moving boxes have smooth surfaces. With that, you can attach print labels and stickers on it easily. It is also the perfect and cheap way to label with fragile and room destinations stickers. With these benefits, you can make sure that moving boxes are a great help for an easy moving process. Uboxes.com is the leading supplier of medium moving boxes in the industry. Choose their moving boxes now!